Personally I like to keep things simple. In my baking pantry you won’t find a lot of funny ingredients. Apple Cider Vinegar? No ways. Agave. If I really have to. I like my ingredients list simple and straight forward. So when it comes to bread starters and I begin to read different recipes on different blogs and websites I can’t help but shudder. Why do you want to go to all that effort to make something as efficient as a bread starter? I’ve been meaning to set up mine for a while now, and just never seemed to get around to it. It’s a great day for us all as today I will be making two different kinds of starters and sharing it with my fabulous readers. You will need 15 grams of yeast, 300ml water and 250g flour. Simply mix the yeast into the water and let it dissolve. 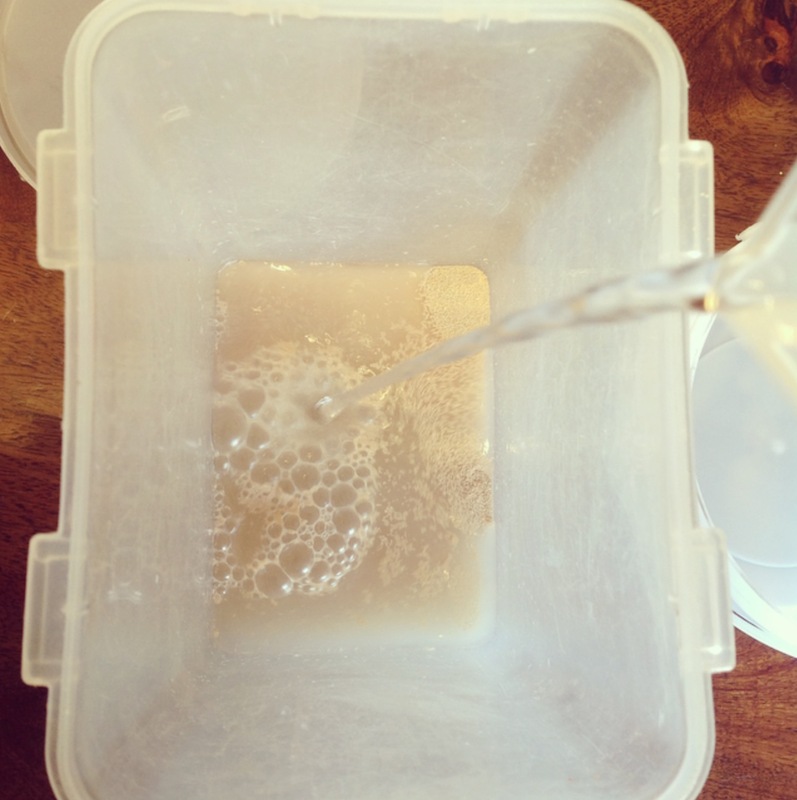 Mix your yeast and water. If you are using fresh yeast it is better to add it to the water and not like this. Then stir in the flour and leave at room temperature to ferment for 24 hours up to 5 days. Mix flour in and it all comes together in a gloopy past. But the magic is already starting. Now I know I said it was a quick starter, but all good things come to those who wait and wasn’t that super quick to make? All you need to do now is stir it once a day. To make a starter dough without using yeast is also very easy. 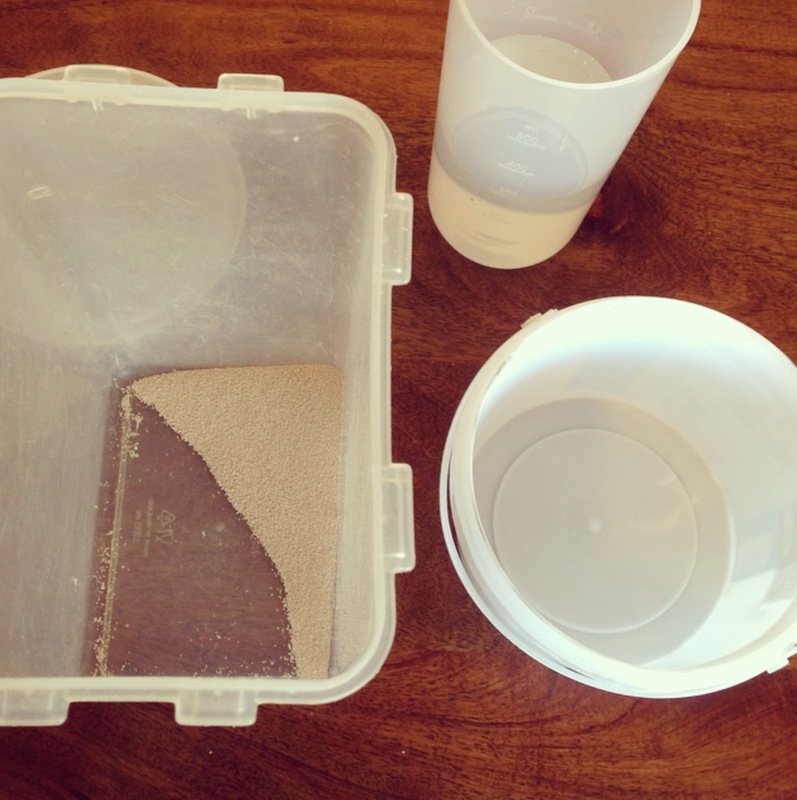 Take a 1/4 cup flour and a 1/4 cup of water, mix it together, cover and just leave it outside for the next few days. You need to feed your starter double the amount that it was made from, twice a day. In this case you are using 1/2 a cup of flour and 1/2 a cup of water. Just mix it right in there. Your starter is ready for storage as soon as it starts bubbling. 2. Always have a nap after a big meal. All that kitchen gibberish mean is that if you use 1 cup of starter for your recipe you need to feed it 1 cup. 1 cup of starter feed is 125ml flour and 125ml water. 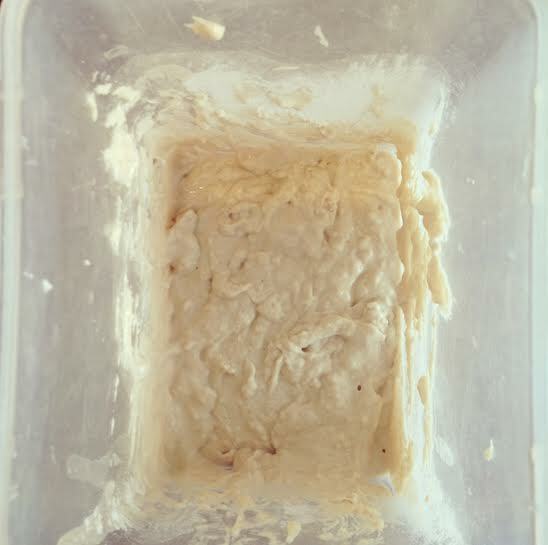 Many people will say that it is ok to keep your starter outside if you make a lot of bread. If you live in a warm climate like South Africa you will want to keep your starter in the fridge. It won’t kill the yeast, but will slow down the development. Simple let it ‘sleep’ outside for twelve hours after feeding it. So there you have my two methods for making bread starters. I’m sure you will enjoy making and using them as much as I’m going to. However, there is still a very important part of starters that I haven’t told you. I think I will name mine Jensen and Jared since I’m such a Supernatural geek. The lead characters are always turning around at deaths door. Somehow I think my starters will need that good juju.